How can we take a dingy bedroom and make it the room that sells your flip? It’s more than just slapping some paint on the wall and calling it a day. Having a Killer Master Bedroom can make buyers say yes, and may be even one of the cheapest rooms to rehab! Throw these updates into your flip and see a huge ROI for your master bedroom updates. Believe it or not, but wood floors are in demand for master bedrooms. Easy to clean and install, and add a pop of texture to a room! Wood Floors are easy to match and complement any homeowners choice of decoration and colors, although darker wood floors tend to be more in demand than their lighter counterparts. Hard wood floors add a wow factor that carpet just can’t beat, and give unlimited decoration appeal! Having a unifying color for your master bedroom makes the room more inviting and, more importantly, cozy. Having solid walls is the first step for a beautiful master bedroom, but beautiful wallpaper has started to make a comeback. Understand your space, and know that lighter colors will make a room look bigger, while darker colors will make it look smaller. If done correctly dark gray or deep navy blue can make a dramatic but welcoming feel to your room. Pair this Master Bedroom Updates with a white ceiling for a extra dreamy aesthetic! Having a pop of texture takes the room from hotel, to home, and it can be done in a myriad of ways! Monochromatic looks are so modern and clean, but adding a bit of texture can add much needed drama to a room. 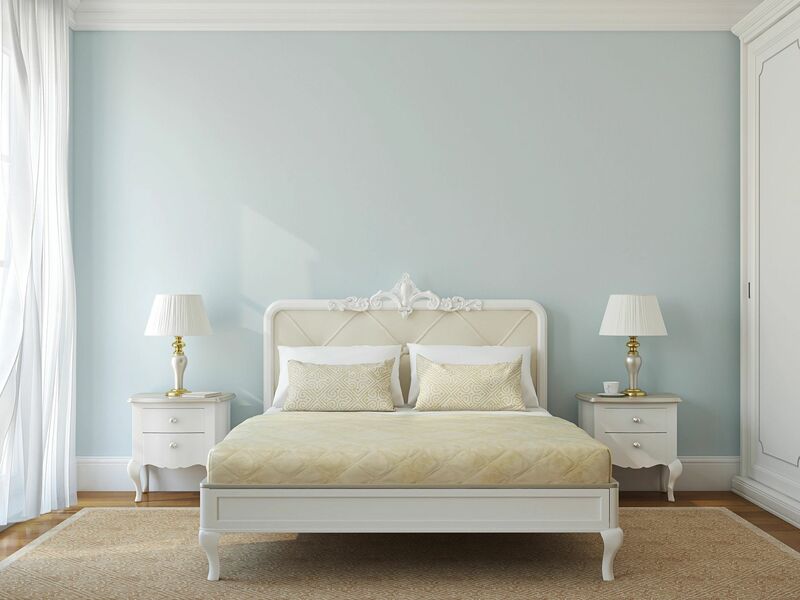 Play around with different shade of the same color, an accent wall, add accessories like a headboard, lights, or wallpaper. Lighting is a must have for your master bedroom, and having lots of natural light and inviting lights is a must! Make sure you have beautiful windows that will brighten the room during the day, and stage it with some sheer or solid curtains to add a whimsical serene feel to your space. Install non-directional lighting, that are flush with the ceiling, and possible in wall lights, for some added ambiance. Completing master bedroom updates is easy, as long as you are working with the right hard money lender. Prime Plus Mortgages is a hard money lender that offers asset based loans that are fast, and have competitive low rates. Our loans are made specifically for house flippers and real estate investors in the Scottsdale and Phoenix real estate markets. Our home rehab loans make funding and updating an investment easy, and are approved in less than 24 hours.